Our local cat shelter printed another joke recently. 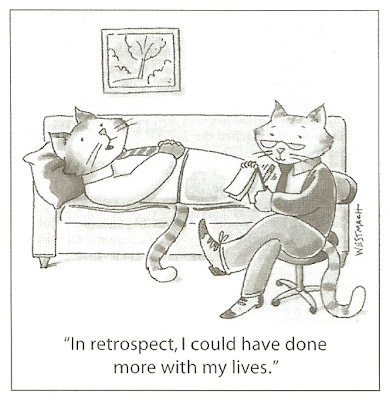 When I first read it, I thought it said "In retrospect, I could have done with more lives." Either way, it is funny! Here is the first joke I had posted.